Star Trek is an American science fiction entertainment franchise created by Gene Roddenberry. 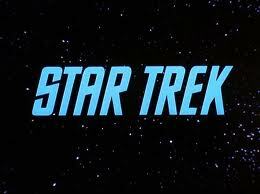 The franchise began in 1966 with the television series Star Trek later referred to as Star Trek: The Original Series. This series, its spin-off shows: Star Trek : The animated series, Star Trek : Next Generation, Star Trek : Deep Space nine, Star Trek : Voyager, and Star trek : Enterprises, as well as the Star Trek film series make up the core of the Star Trek mythos. While the critical response of the much of the franchise varies, many individual Star Trek episodes and films have won awards and honors including Emmy Awards, Hugo Awards, and an Academy Award. Star Trek fans are a unique breed. While some fans appreciate Captain Kirk and the captains who followed in his footsteps and enjoy watching the shows, other fans live and breathe the series, movies, books and, well everything Star Trek. This infographic boasts it knows 15 things about the pop culture phenomenon that you probably don’t know. Read on to get your Trekkie on.